João Meirelles is a writer and a social entrepreneur. As a social entrepreneur he is the General Director of Instituto Peabiru. He has overseen partnership building and fundraising for Instituto Peabiru since the organization’s origination in 1998. Meirelles is an active environmentalist with over 32 years of experience defending the Amazon. Among major themes he is dedicated to are family agriculture, pollination, human rights, land grabbing on traditional land, and the impacts of meat & dairy production on food security. For 6 years, he has served as the vice president and director of Fundação SOS Mata Atlântica, directing a major environmental campaign in Brazil called “We are taking the green out of our land”. From 1998 to 2002 he has served as the director of Brazil’s Institute of Ecotourism. From 1999 to 2012 Meirelles was supported by Avina Foundation as a Leader-Partner in social entrepreneurship for four projects on behalf of Instituto Peabiru. He has served in a number of advisory roles as a consultant for companies and public organizations. 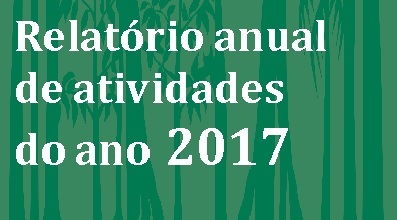 Meirelles is the author of several articles published in the press, as well as of 18 books that have sold more than 150 thousand copies, including Private Natural Heritage in Brazil (Metalivros, 2016) and Rios do Brasil (Rivers of Brazil) (Metalivros, 2016). He holds a degree in business administration from Fundação Getulio Vargas in São Paulo. He has twice been awarded with the Amazon region’s most prestigious prize: Prêmio Samuel Benchimol Banco da Amazônia (2012 and 2013). His writings can be found at http://peabiru.academia.edu/JoaoMeirelles.